It’s been awhile since the last post! I think we’ve all been busy, so it was nice to finally sit down together and get some sewing done. We all have our own WIPs, although some of us have been more productive than others (but we’ll see the results soon in later posts!). For my part, I’ve barely sewn a stitch in several months and I have a million projects on the go. That’s a bit of an exaggeration, but I do tend to start many projects and take awhile to finish. 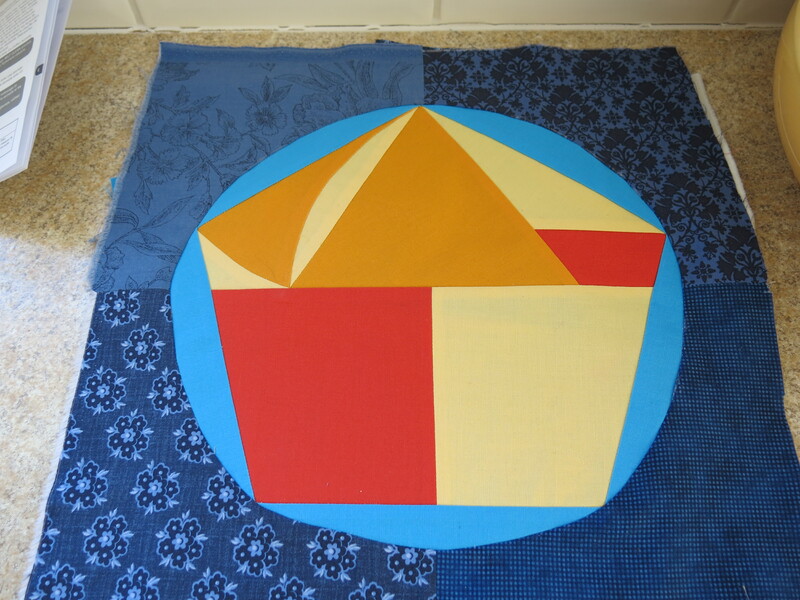 I started with two layer cakes of Kate Spain’s Sunnyside fabric. I’ve made some progress on putting it together, but I’m learning very quickly that curves can be tedious! 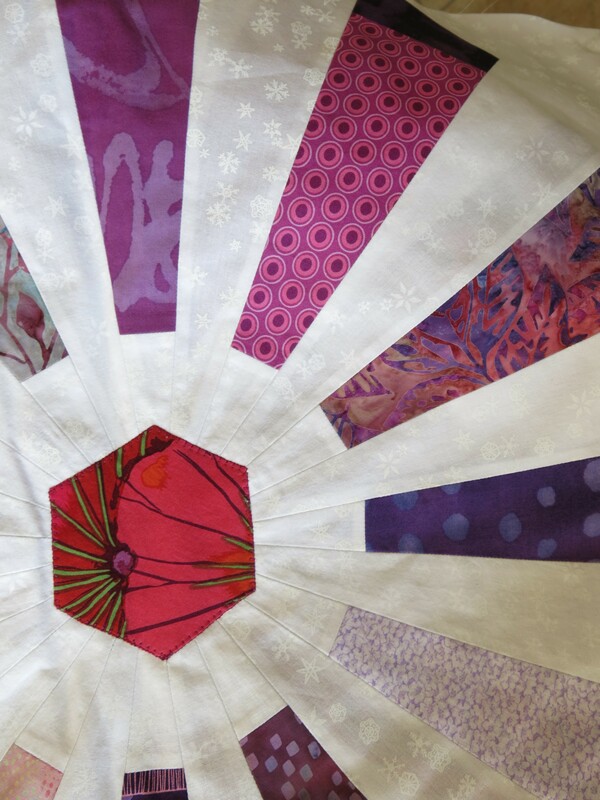 Natalie was paper piecing a warm batik design. 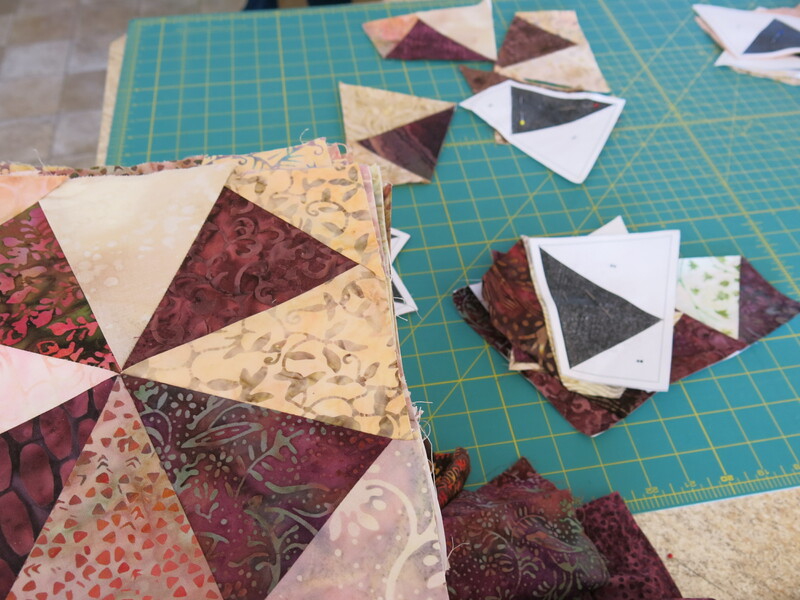 Michèle was working on a geometric design for an art quilt to submit for to an upcoming quilt show. The story behind this one is quite interesting, so I look forward to seeing it complete in an upcoming post! She was also making cupcakes for a special birthday we celebrated later that day. 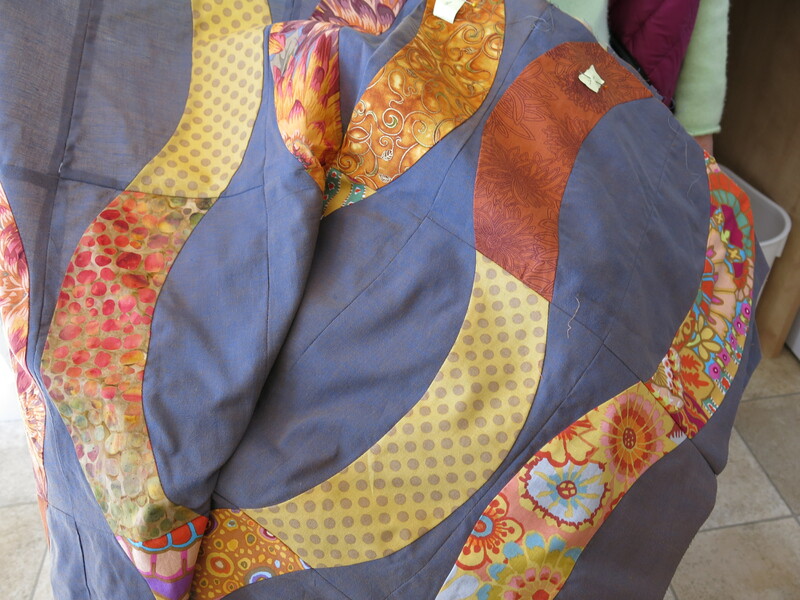 Suzanne was working on a vibrant quilt made with Art Gallery fabrics. 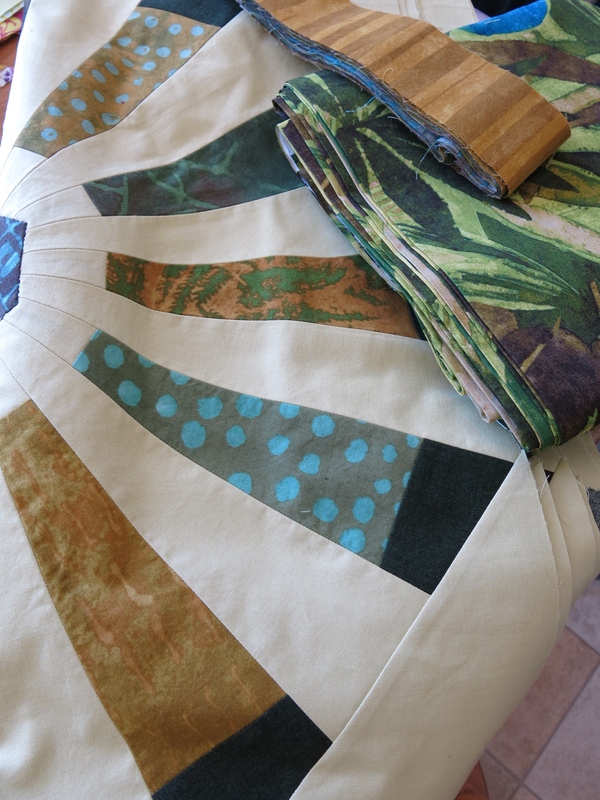 Lise and Suzanne have also given their own twist on the same pattern. 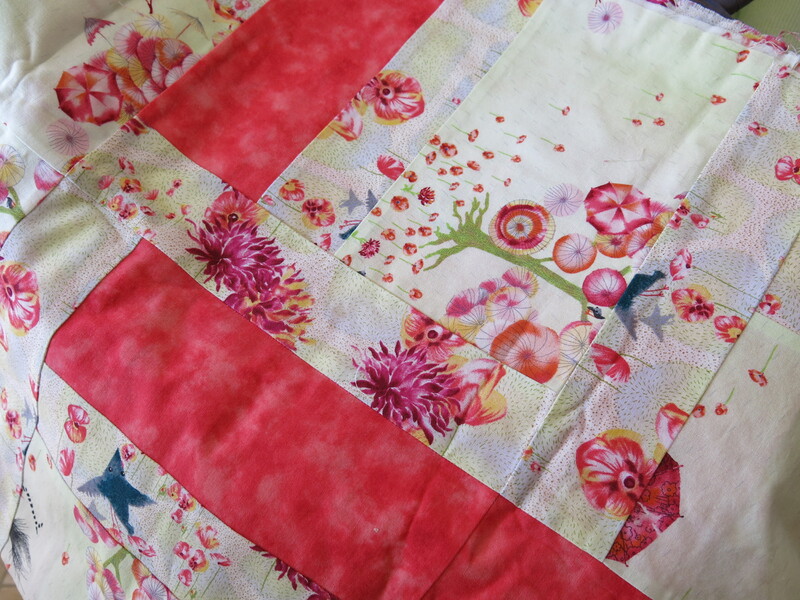 I love seeing how different two quilts turn out when done using different colour schemes. 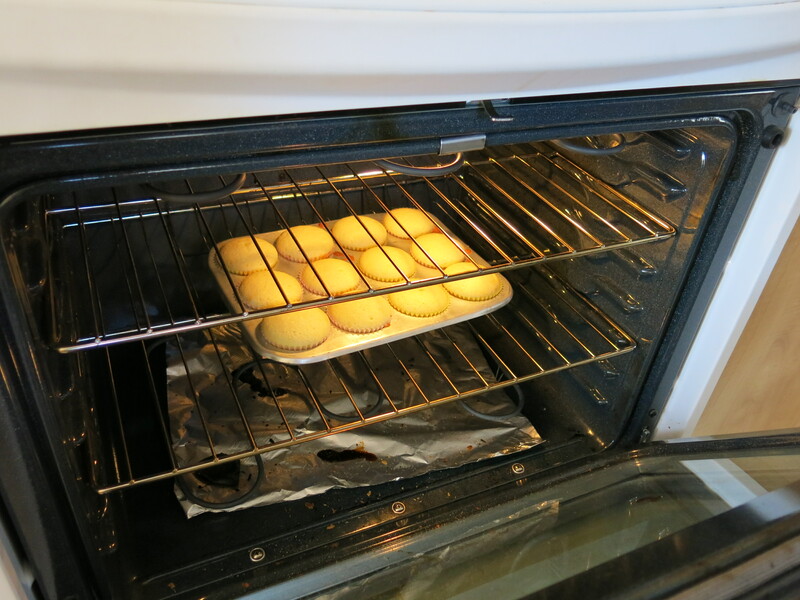 I can’t wait to see how they turn out! 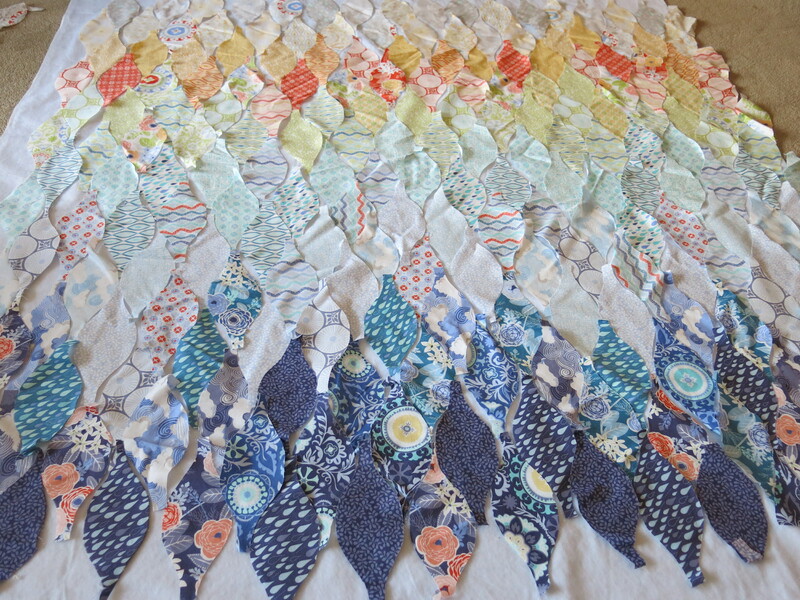 Lise was busy preparing her finished quilts for entry into the quilt show. She is now the most productive member of our little group! 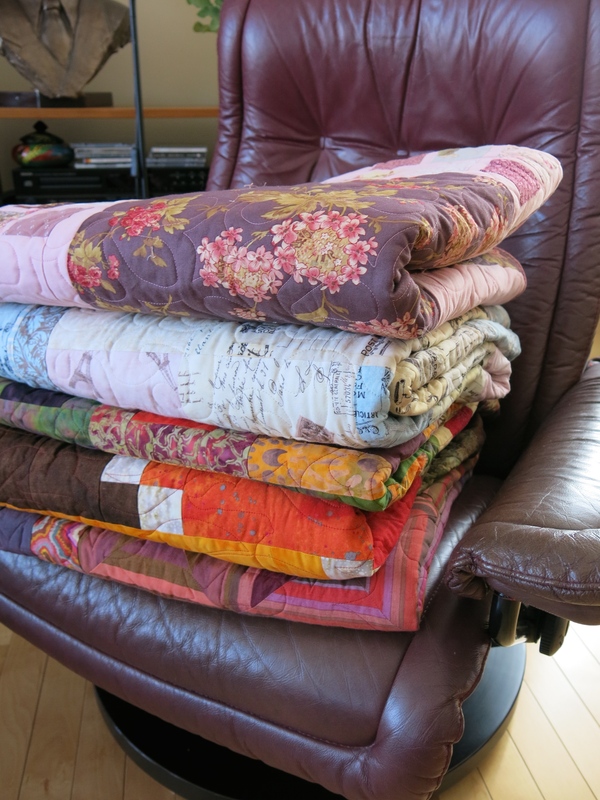 Each of these quilts will be featured in later posts, along with the other quilts she is working on. She used to help everyone else on their quilts, but it hasn’t really been until the last year that she started to make her own and now she is probably responsible for half of our total output! 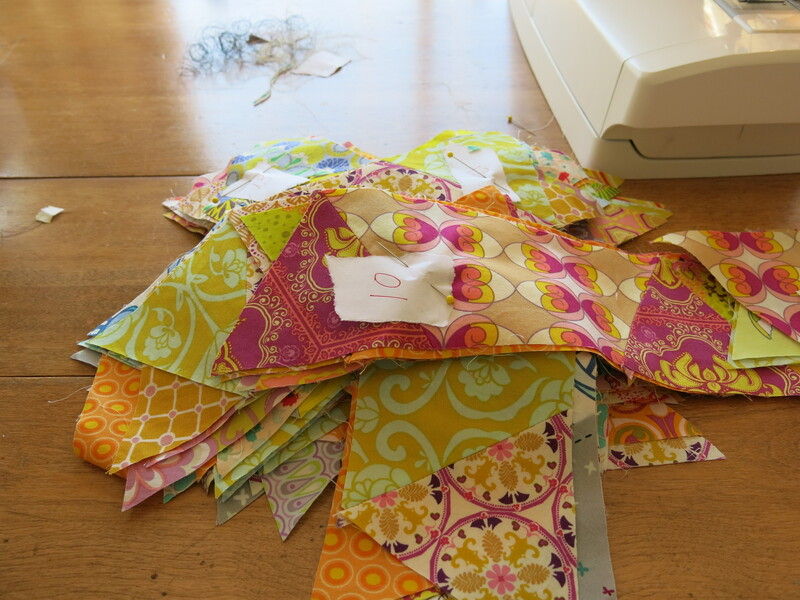 We had a great afternoon of chatting, sewing, cutting fabric, snacking and baking. 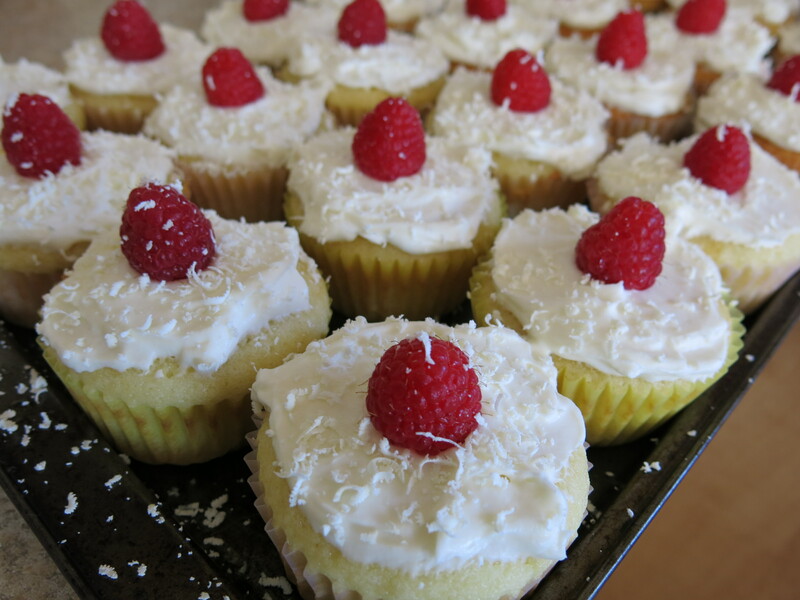 In the end, the only finished project was the cupcakes.